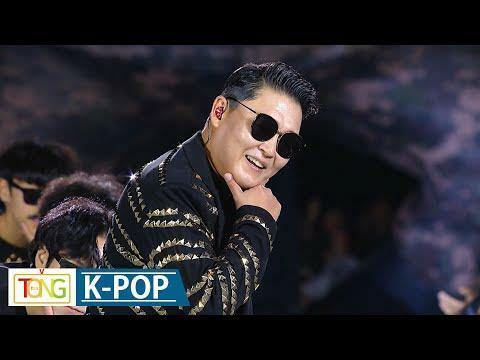 SEOUL, Oct. 7 (Yonhap) -- Globally renowned singer-rapper Psy performed during a national ceremony to celebrate the 70th Armed Forces Day on Oct. 1. He performed his hit songs "Champion," "Gangnam Style" and "It's Art," heating up the festivity of the event at the War Memorial of Korea in central Seoul. The event was attended by 3,500 people, including President Moon Jae-in, Defense Minister Jeong Kyeong-doo, U.S. Forces Korea Command chief Gen. Vincent Brooks and the top commanders of the country's Army, Navy and Air Force.